1. Always remove battery pack form your tool when you are assembling parts, making adjustments, cleaning, or when not being used for an extended time. 2. If you don't plan on using the Power Tool Battery for a month or more, store it in a clean, dry, cool place away from heat and metal objects. Ni-Cd, Ni-MH and Li-ion batteries will self-discharge during storage. Remember to recharge the batteries before use. 3. Do not leave the battery dormant for long periods of time. We recommend using the battery at least once every two to three weeks. 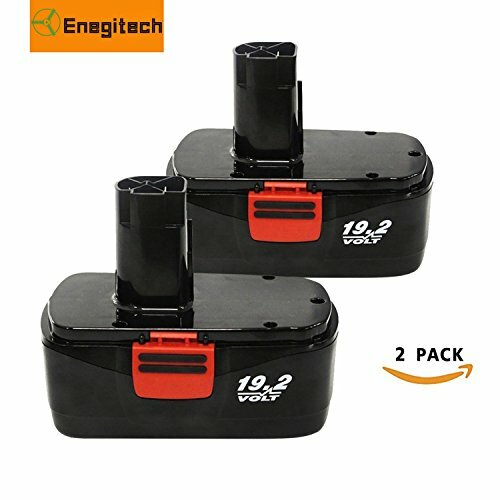 Battery Storage - If you don't plan on using the Power Tool Battery for a month or more, store it in a clean, dry, cool place away from heat and metal objects. Ni-Cd, Ni-MH and Li-ion batteries will self-discharge during storage; remember to recharge the batteries before use. If you have any questions about this product by Enegitech, contact us by completing and submitting the form below. If you are looking for a specif part number, please include it with your message.